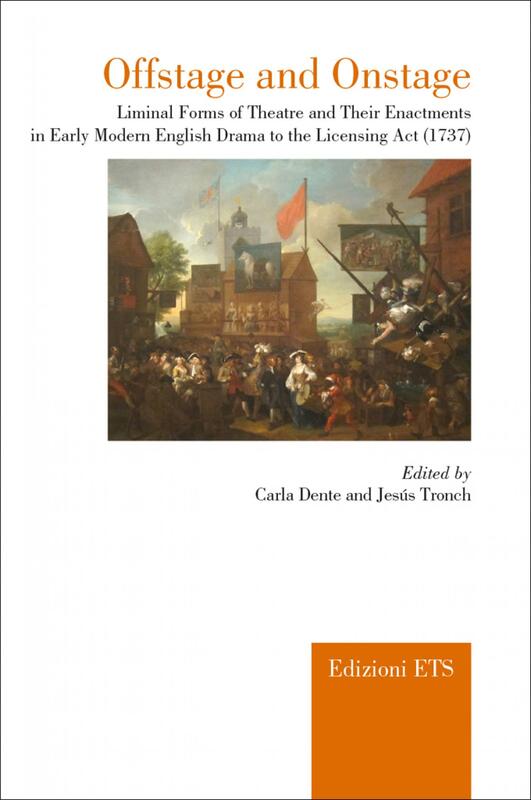 This volume brings together a number of scholars in the fields of Theatre Studies and English Literature in a joint endeavour to understand both the nature of phenomena on the margins of Renaissance culture and their impact on theatre audiences through the discussion of case studies. Issues connected with the display of corpses and the spectacle provided by capital punishments, episodes of witch hunt and trials, the activities of quack doctors, puppet shows in the popular context of fairs, the construction of celebrity are examined both in their real-life dimension and in their stage enactments. An investigation of this kind has inevitable bearing on the relationship between reality and representation, on the one hand, and the disputed notion of popular culture, on the other. Essays by Luca Baratta, Nicoletta Caputo, Giovanni Carlotti, Carla Dente, Roxanne Barbara Doerr, Niranjan Goswami, Sylvia Greenup, I-Fan Ho, Bella Mirabella, Sara Soncini, Jesús Tronch.